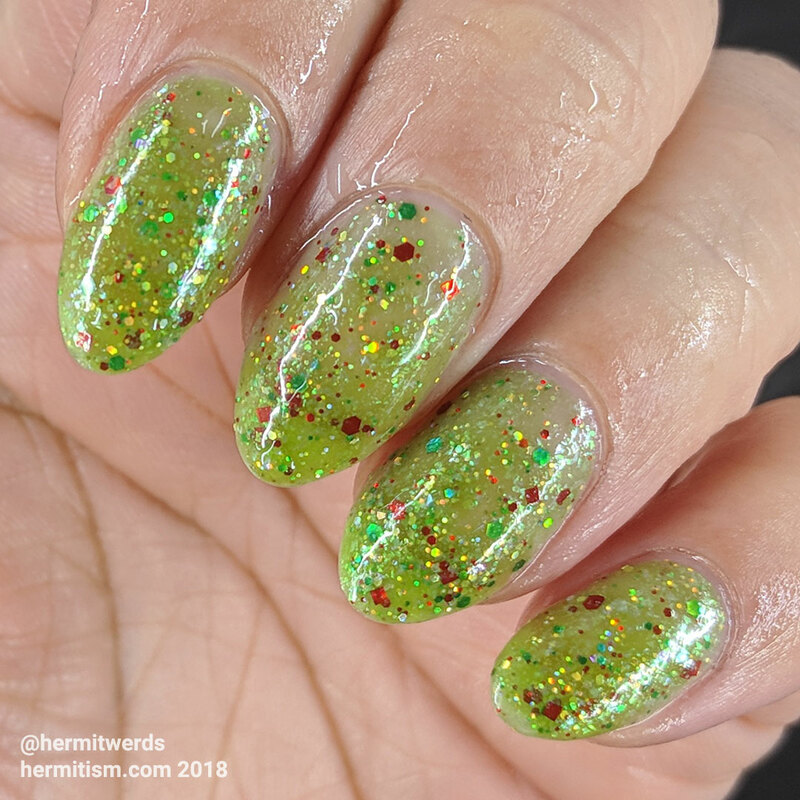 I’ve seen a few red/green thermal polishes come out this year, but I think Shinespark Polish came out with the first one for Christmas when she released it in 2017. I couldn’t resist buying it and I’m so glad I did. This is the first design I painted with it, but it was too late for last year’s Christmas. 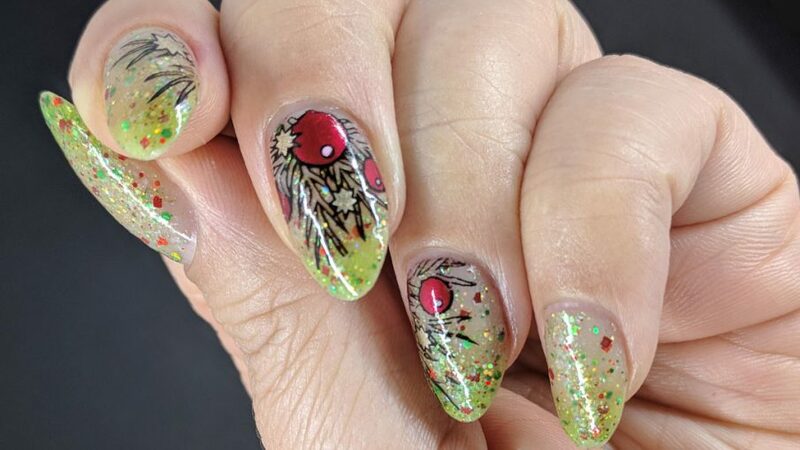 So I’ve pretty much been sitting on this nail art and waaaaiting forever. 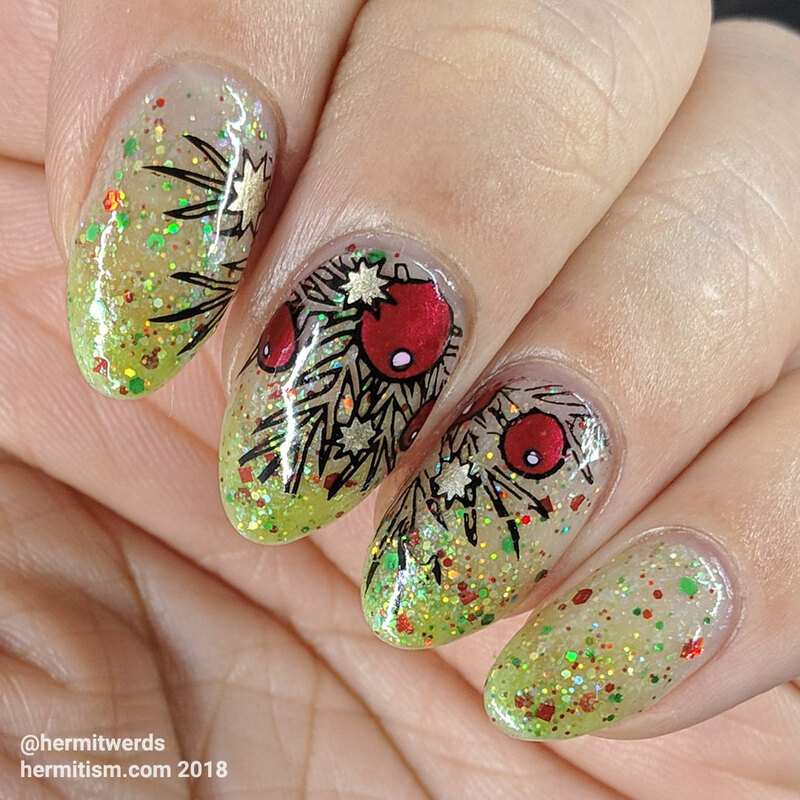 In a way, it makes it very appropriate that I am posting this as my first Christmas nail art this year.